Small spending bumps for genomics and physics stand in stark contrast to the funding windfall across basic research in last year's budget. What a difference a year makes. Canada’s 2019 budget, released on 19 March, includes modest increases for Prime Minister Justin Trudeau’s government priorities, including neuroscience and genomics research ― nothing like the historic five-year, Can$4-billion (US$3-billion) boost for basic science and research unveiled in 2018. The 2019 funding plan would also create an advisory body that would subject future government funding decisions for research to greater scientific scrutiny. 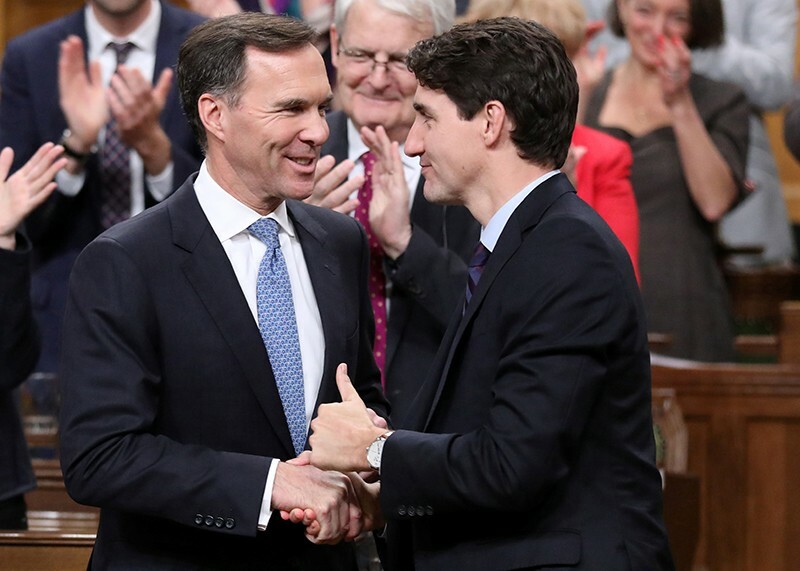 The latest budget does not include new money for basic science projects at Canada’s three main research-grant agencies because of the huge funding boost they received last year. And it contains only modest amounts ― Can$459 million over the next five years ― for specific scientific organizations and institutions. This spending plan is the last to be released before the federal election in October. As such, many researchers expected it to include directed funding for government priorities that would play well in the upcoming campaign, such as cancer research. Many institutions and organizations lobbied for a piece of the budget, breaking the united front that the science community presented last year when it demanded that the government follow the recommendations of the Fundamental Science Review, an independent assessment of Canada’s research priorities and funding. The review recommended boosting spending on basic research from Can$3.5 billion per year to Can$4.8 billion. The Stem Cell Network, a non-profit organisation in Ottawa that helps to translate research into clinical applications, will receive Can$18 million over three years, as part of the 2019 budget. Two cancer charities will receive a combined Can$160 million; Genome Canada, a non-profit organization in Ottawa that supports genomic research, will get about Can$100 million over five years; and the TRIUMF physics research lab and cyclotron in Vancouver will get Can$196 million over five years. The budget does include a promise to stop awarding funding based on lobbying or political calculation. The government proposes setting up the Strategic Science Fund, which will “operate using a principles-based framework for allocating federal funding that includes competitive, transparent processes”. An independent panel of experts will use the framework to choose recipient organizations, and determine how much money they will get, in a competitive allocation process. The fund would begin operating in 2022. The budget is also moving in the right direction for science students. The government’s plan allocates Can$114 million over five years to increase the number of graduate scholarships available from the country’s three main research funding agencies. The money will provide an additional 500 masters scholarships and 167 doctoral scholarships per year. The lack of support for students in last year’s otherwise positive budget had been considered a “glaring omission”, says Gibbs. Tina Gruosso, co-president of Science and Policy Exchange, an advocacy group in Montreal run by graduate students and postdoctoral fellows, says students are happy with the support for scholarships. “It is a good step forward for the next generation of students and young researchers,” she says, though there was no extra funding for postdoctoral fellowships. The budget also proposes expanding parental leave for student researchers ― Can$37.4 million over five years to extend coverage from 6 to 12 months for students funded by any of the three main research agencies. Correction 26 March 2019: An earlier version of this story stated that Canada’s latest research budget doesn't contain new money for the three main research-grant agencies; in fact the budget does contain new money for master’s and doctoral scholarships and parental leave for student researchers funded by these agencies.